No details were given on what kind of treatment Spacey is seeking. Updated October 30, 2017, 11:10 a.m. PT: In the wake of BuzzFeed‘s exclusive interview with Broadway star Anthony Rapp, who came forward with allegations of untoward sexual advances made while he was a minor by an adult Kevin Spacey, there’s been much discussion and some consternation about the things Spacey said in his apologetic statement. Issuing the apology within hours of the story’s publication, Spacey also used that space to come out as a gay man. While some contend this has been an open secret for years and that it’s not exactly new news, others are pointing out that Spacey’s coming out feels like an inaccurate and irresponsible deflection of the allegations levied against him. House of Cards star Kevin Spacey faces serious accusations of sexual assault made against him by Broadway and Star Trek: Discovery star Adam Rapp. In an extended interview published on BuzzFeed on Sunday, Oct. 29, Rapp recalled the events around Spacey’s alleged sexual assault on him in 1986. Shockingly, this means that Rapp alleges this happened when he was 14 years old and Spacey was 26. According to BuzzFeed‘s report, Rapp has been carrying the pain of that one evening with him in the 30-odd years since it allegedly happened. Regardless of the fact that both he and Spacey have gone on to have monumentally successful careers in film, television and theater, it’s clear from Rapp’s account that what may have happened has imprinted deeply on him and has been with him ever since. BuzzFeed writes that at the time, Rapp was starring in a play alongside actor Ed Harris. Rapp’s success and the prominence of the show meant he was able to hobnob with actors in the New York theater scene at various functions and get-togethers. Spacey was one such actor, who was himself in the early days of a soon-to-be successful career. Rapp was comfortable being around adults, and so for most of an evening spent at a gathering at Spacey’s apartment, he was more bored than nervous at being the youngest person there. That was until he eventually realized he was the only person left at Spacey’s place. Shortly after the story was published, Rapp posted a short statement thread to his Twitter where he wrote that he was able to come forward with his account of what allegedly happened because of the recent waves of brave women and men coming forward with their own stories of alleged sexual assault at the hands of men like Harvey Weinstein, Roy Price and director James Toback. Additionally, while BuzzFeed reports that Spacey did not (through his reps) respond to verbal requests for comment, the actor did post his own written apology and statement to his Twitter account. In a surprising move, after apologizing to Rapp, Spacey also came out as a gay man. “I have a lot of respect and admiration for Anthony Rapp as an actor. I’m beyond horrified to hear this story. I do not remember the encounter, it would have been over 30 years ago. 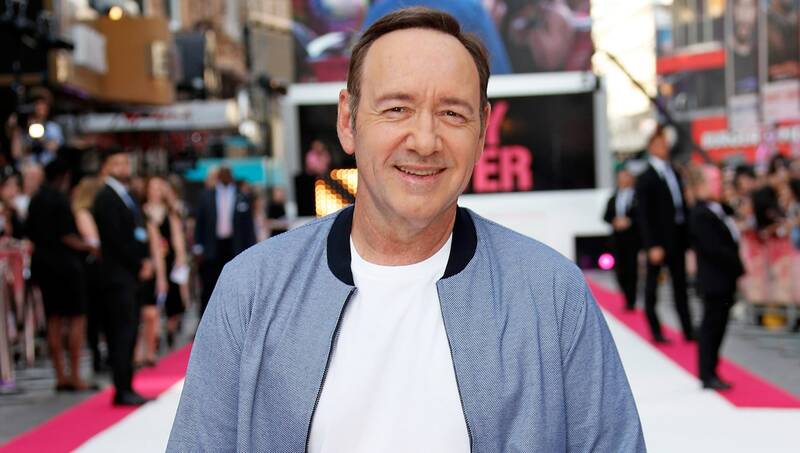 But if I did behave then as he describes, I owe him the sincerest apology for what would have been deeply inappropriate drunken behavior, and I’m sorry for the feelings he describes having carried with him all these years,” Spacey began.